If your plants keep dropping leaves, turning odd colors, and generally failing to thrive, it might not be your gardening techniques that are at fault. There could be an imbalance in your soil that’s killing your plants. In such instances, improving your soil might simultaneously improve your chances at having a successful garden. However, it’s always a good idea to test the pH levels and the soil acidity in your garden before you start applying fertilizer. Too much of a good thing can easily be as bad as a hands-off approach. For instance, phosphorus, which is a main component of most fertilizers, will only work at a certain pH range. Adding unnecessary nutrients can also cause environmental problems since these compounds tend to get washed away in heavy rains and can end up polluting nearby waterways. Like most organisms, plants need a variety of nutrients in order to grow properly. These elements are normally present in the soil. When they are not, the plants suffer. Fertilizers were created to make up any soil deficiencies so that things can be grown in less than ideal spaces. However, the main nutrients found in fertilizer are nitrogen (N), phosphorus (P) and potassium (K). They’re generally listed on labels in that order as well. Of course your plants don’t know the difference between synthetic and organic fertilizers but you will, particularly in the long run. Synthetic fertilizers are known to degrade the quality of soil over time. You constantly need more to improve your garden. Synthetic fertilizers also contain salts. These compounds not only make the soil more acidic, they keep beneficial earthworms away. Regular watering of your plants can even move the nutrients in these compounds far enough from the plant roots that they won’t do any good. In addition, synthetic fertilizers are often made from non-renewable resources. On the other hand, organic fertilizers improve garden soil where they are used. They not only assist with water retention, they also make the soil lighter so that more air is available to the plant roots. Organic fertilizers don’t waste nutrients like their chemical counterparts. Nor are they likely to create a build-up of salts that could dampen plant growth. These types of fertilizers even tend to be less likely to burn tender plant roots than synthetic products. The slow working nature of organic fertilizers is beneficial if you’re looking to improve your garden soil over time. This aspect can nonetheless be a downside if you’re looking for instant results. (A good organic compromise when your plants need a sudden energy boost is liquid fertilizers or foliar sprays.) Gardeners should also be aware that organic fertilizers are biologically active. This means that their components can change over time and may slightly vary with each batch. You do need to be careful when it comes to purchasing fertilizer. Those products stating they are ‘organic’ at first glance might not actually be. Make sure you read product labels carefully. A good way to judge claims for accuracy is to check the organic fertilizer you plan on buying against the Organic Materials Review Institute’s list. However, if you’re not a commercial grower, keep in mind that all the products listed here are also considered organic. Exactly what it says on the tin, dry fertilizers are often mixed into the soil. They can be used on both in-ground gardens and container grown plants. These types of fertilizer are generally added as a way of encouraging long-term growth in seedlings, transplants, and crops. Obviously, these fertilizers are nutrients in liquid form. They may additionally use a type of binding agent to help them be better absorbed by the plant in question. These fertilizers might be poured onto the soil surrounding the plant so that they can be absorbed roots. Or they could be sprayed on the leaves instead. After all, foliar (leaf) sprays are particularly useful for vegetables during their growing season. Liquid fertilizers are generally considered good for plants that are actively growing and should usually be applied on a monthly basis. 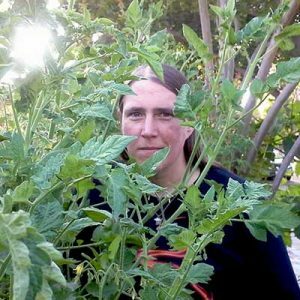 However, leafy crops might need to be sprayed on a biweekly basis. While they aren’t fertilizers per se, these substances help plants absorb nutrients that they receive from elsewhere. Some of them, such as kelp, are also a great source of trace elements. However, paying for these elements to be included in your fertilizer can be a waste of money since healthy soil should already contain helpful substances such as microbes, enzymes, and humic acids. 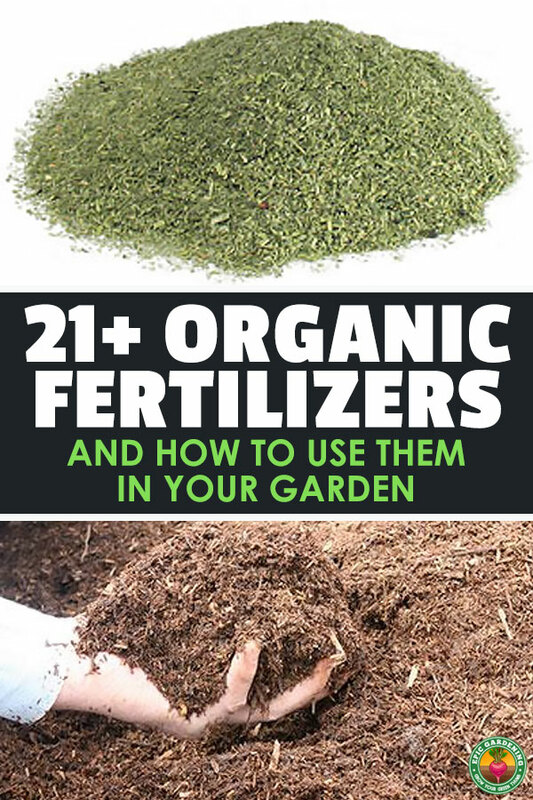 However, if you want to mix up your own fertilizer for a specific garden need that you have, you can certainly do that as well. Just be careful not to overdo it in order to avoid burning or even killing sensitive plants. 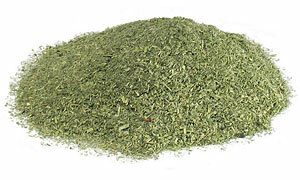 Alfalfa is commonly used as part of livestock feed. 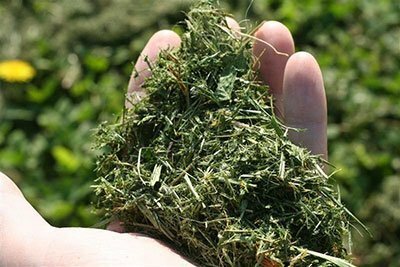 However, alfalfa meal is simply ground up so that it breaks down faster. This particular fertilizer has low amounts of nitrogen, phosphorus, and potassium. As a result, alfalfa meal works at moderate rate of speed. The best use for this fertilizer is as a soil conditioner in the early spring prior to planting crops. This fertilizer has plenty of nitrogen, but it also contains fair amounts of phosphorus and potassium. 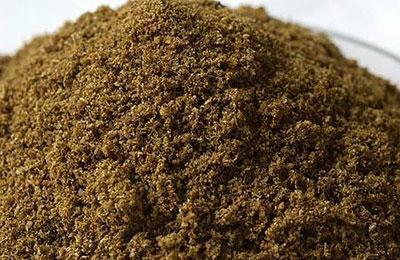 The downsides to cottonseed meal are that it works slowly and that it is available primarily in cotton growing areas. However, this fertilizer is particularly useful for conditioning gardens in the fall before cover crops are planted or before mulch is applied. This gives the cotton seed meal time to break down fully so that the nitrogen present is readily available in the spring. 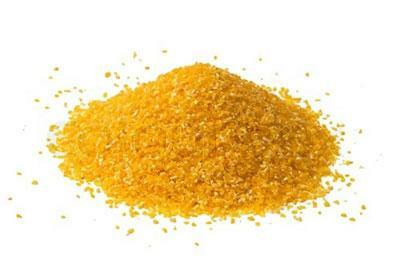 Corn gluten meal contains trace amounts of nitrogen, phosphorous, and potassium. It is also good soil stabilizer but it works slowly. Therefore, you should add it in the fall so that it has time to break down over the winter. This fertilizer is made from rocks that have been ground up. It contains large amounts of phosphate as well as other essential nutrients. The main benefit of using rock phosphate is that the elements it contains don’t dissolve in water. Instead they hang around in the soil until they’re used by the plants that are growing there. 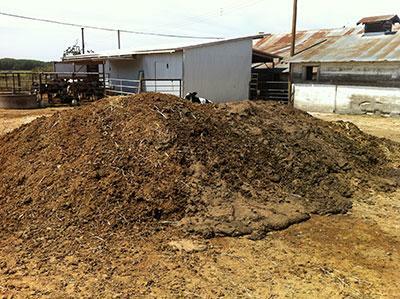 Manure in general has a high mass to nutrients ratio. It nonetheless contains respectable amounts of nitrogen, phosphorus, and potassium. Cow manure also works on gardens at a moderate rate of speed. These elements all help to make it an excellent compost additive. 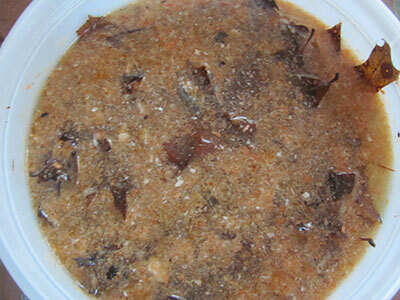 However, some weed seeds may survive being digested by the cows in question and this can cause obvious problems. You should also avoid manure leftover from industrial operations because it contains lots of salt. However, even regular manure can end up burning plants if too much is used or if it’s used too often. Having a lot of poultry crap on hand doesn’t mean that you’ll get comparatively high nutrient levels. 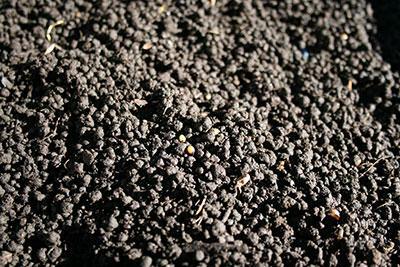 Even so, this fertilizer contains slightly higher amounts of the three main plant nutrients than cow manure does. It’s also works in a somewhat faster fashion. The best time to use poultry manure is just after harvesting your crops or just before you begin another gardening cycle. As is the case with cow manure, you’ll want to be careful with this product because it can burn your plants if too much is applied. 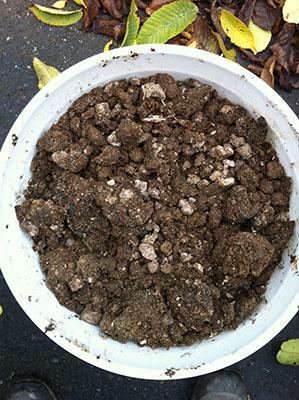 Earthworm castings contain decent amounts of all three vital nutrients. As a result, this type of fertilizer is considered a great addition to flower and vegetable gardens. Greensand comes from ancient sea beds. This high calcium fertilizer also contains iron, potassium, and other trace elements. 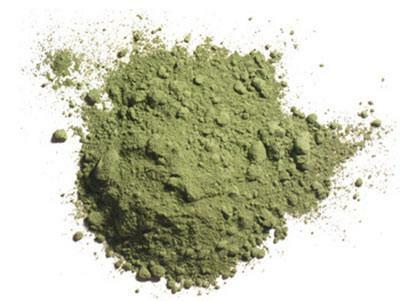 However, the nutrient levels in greensand products can vary depending on their source. 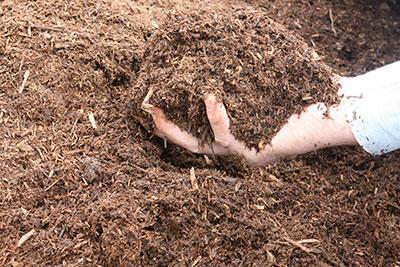 Compost’s nutrient profile varies based on what is put into but it is often close to that of cow manure. It is a popular garden fertilizer. This is no doubt because it can be made for free and it works at a moderate pace. There are also a variety of ways that compost can be used in your garden. It can be used as a mulch or mixed with your garden soil. It can also be brewed into compost tea to use as a foliar feed. Gardeners who don’t have space for a large compost system can even get similar benefits from using worm compost bins under their sinks. However, compost can be alkaline in nature. This characteristic negatively affects how well plants living in the soil can absorb nutrients. Compost also has a high weight to available nutrient ratio. Improperly tended compost pile can additionally emit bad smells, which can quickly get city dwellers in trouble with their neighbors. If you still plan on using it, compost should be added before or after planting. It’s also a good soil refresher in between growing seasons for gardens that are constantly in use. You’ll want to use half an inch to a full inch every time a new crop is planted. 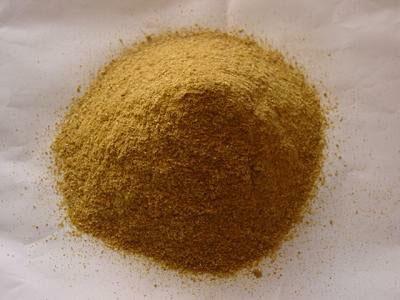 Soybean meal is high nitrogen fertilizer that also contains low amounts of phosphorus and calcium. Local growing conditions tend to affect how fast this product is absorbed into the soil but this process normally occurs at moderate rates of speed. However, soybean meal is fairly useful as a long term soil conditioner. 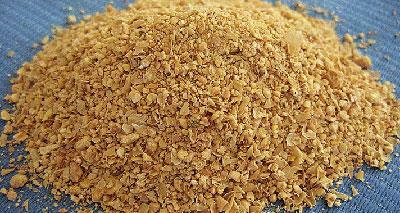 Recommendation: Down To Earth Organic Soybean Meal, 5lb. This fertilizer is created from the powdered blood of butchered livestock. While it is high in nitrogen, blood meal is low in other elements. It is also highly acidic and likely to burn plants if too much is used at one time. You should definitely proceed with caution. It’s best to apply blood meal to the soil before planting anything in it. Even so, blood meal’s fast-acting nature makes it a good tonic for ailing plants. You will need to pour this fertilizer over the plants roots according to the package directions and then possibly cover everything up with mulch. 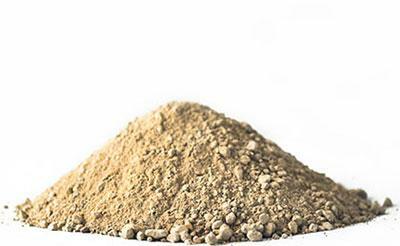 It’s no surprise that bone meal is made from ground up cow bones. This high phosphorous fertilizer also contains plenty of nitrogen. 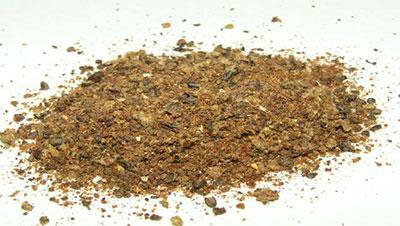 Bone meal works at moderate speeds to encourage flower production and root growth. As a result, it is great for flowering plants, bulbs, and fruit trees. However, bone meal is mostly used as a soil amendment for spots with high nitrogen levels where plants keep getting burned. Feather meal is very high in nitrogen. However, it doesn’t contain any calcium or phosphorus and it only works at moderate speeds. If you plan on using this fertilizer in your yard, use it prior to planting in order to give the soil a nutrient boost. Seabird guano is gathered from islands that have low rainfall and arid climates, both factors which help it retain high levels of nutrients. 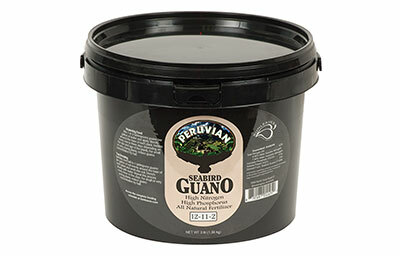 Seabird guano contains large levels of trace elements along with decent amounts of nitrogen, phosphorus, and calcium. In fact, it is considered to be among the world’s best organic fertilizers. 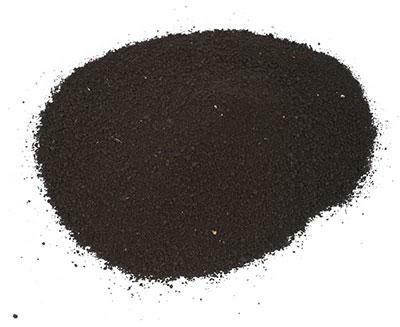 Bat guano is a fast-acting fertilizer that contains a wide variety of nutrients such as nitrogen, phosphorus, calcium, and various other minerals. It is not as high in these components as seabird guano but it is more readily available. Since some of the nutrients contained in bat guano are water-soluble, this fertilizer is probably at its most effective when used as a foliar spray or a compost tea. You can also apply it between crop plantings and as a soil refresher in the late spring. 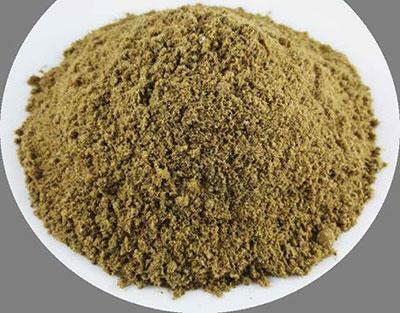 Due to its high nitrogen levels, fish meal is a fairly fast acting fertilizer. It also has decent amounts of phosphorus and calcium. It is good for corn crops. This product is made from partially decomposed fish. As a result, it often has a bad odor. Fish emulsion fertilizer is high in nitrogen but it contains no calcium or potassium. It is also very acidic and should be used lightly to avoid burning plants. Fish emulsion nonetheless acts immediately once it is applied, which makes it a good treatment for leafy species that are suffering from low nitrogen levels. However, some plants may not tolerate it very well. This fertilizer is made from crushed up seafood byproducts. It contains plenty of calcium and some phosphorous as well as a large quantity of trace minerals. 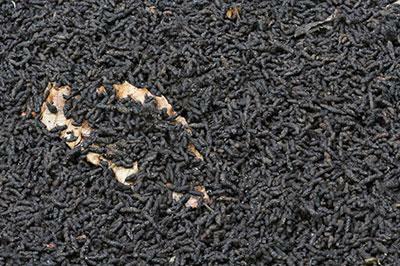 Shell meal also contains an element called chitin, which helps ward off pesky nematodes. This is a kelp based fertilizer created by cold processing. 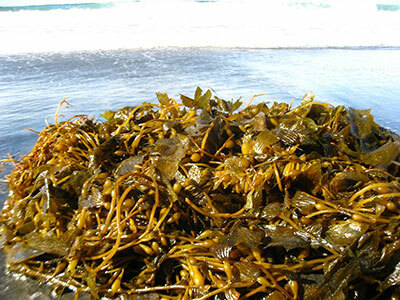 Kelp contains small amounts of the main three fertilizer components but it’s quite high in trace elements. It is also a good source of growth hormones that can help plants reach their full potential. This liquid fertilizer is typically mixed with water and used as a foliar spray or poured into the soil around plants. 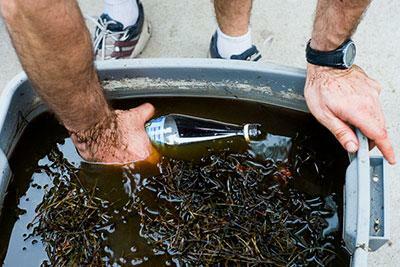 Seaweed is a fast acting fertilizer that’s often available for free along most coastlines. 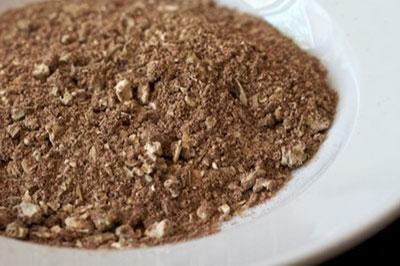 It contains all of the major three nutrients in small amounts but also contains plenty of zinc and iron. Seaweed is considered highly beneficial to grain crops as well as those that need high levels of potassium. It’s hard to beat grass clippings as a low cost fertilizer since they’re usually free. This substance can be used to prevent weeds and conserve moisture in the soil. However, the nitrogen content in each batch varies. A layer of 1 to 2 inches should be sufficient for a full growing season. Just don’t use cuttings from lawns that have been grown using herbicides. Recommendation: Free from your yard or your neighbor’s! I do not have enough words to say thank you for, I was totally naive on how to keep flowers healthy, the few I have in the compound are in a sorry state. I am about to retire from office work, hope to grow flowers for personal happiness and as a retirement business. Hope to share picture of flowers when I succeed with the formulas given. Once again thank Thank you . I will also share information to with some farmers clubs for free, that is if you alow. The Gaps I have is how to develop home made pestcide for treating fungal infection and killing some annoying pests. Wow, you are quite welcome Molly, so glad this was valuable to you! I enjoyed the article but I am not sure about the ration for worm castings. I am not sure they are as balanced as the hype would have us believe. Friend of mine who is qualified horticulturalist made a local company hide the labelling of their worm castings bags as 1-1-1 because there is no scientific basis for that ratio. I know, NPK ratios are not a precise science – every carrot would be slightly different of course – but worm castings are more helpful at providing micro- than macro-nutrients. Ankitech is one of top hospital bed manufacturer in India from more than two decades having one of biggest supply chain all over. We Ankit Polyweave Industry provide best quality hospital bed in India at affordable prices. We Ankitech provide vast range of best quality hospital bed and other hospital equipment in India. Do Children Photography of your baby to create a memory for the future. Don’t miss your sons every first step. So do an album of Children Photography in NCR, Gurgaon and Delhi. For more information visit us.